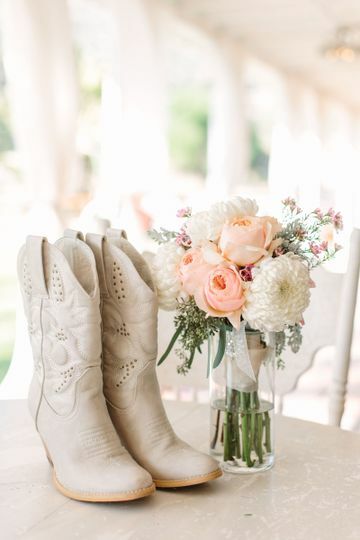 Sweet Pea Ranch defines the new farm rustic chic style wedding. 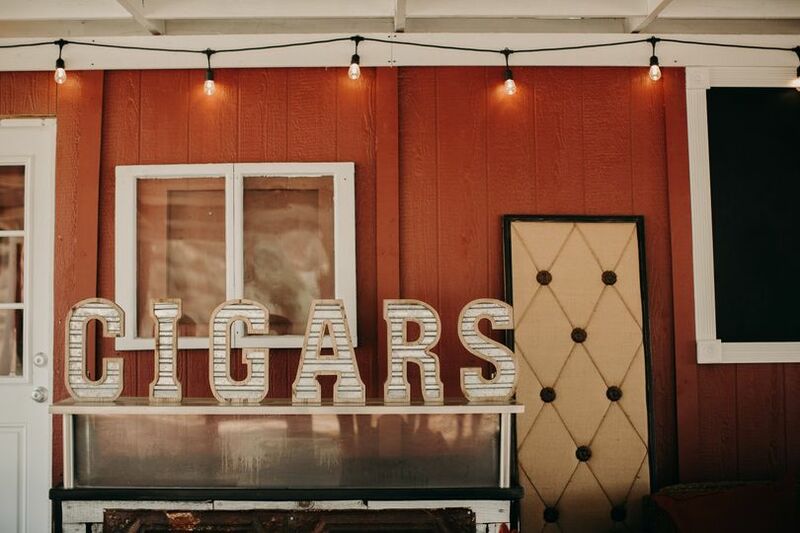 Every Pinterest inspired element will be found at this lovely venue. Home style southern hospitality similar to the old fashioned Sunday dinner on the front porch is the perfect description of this lazy little ranch. Breezes occur through the canyon and trees daily. The ceremony takes place under the arbor with quaint benches. Hanging doors make for an amazing grand entrance. 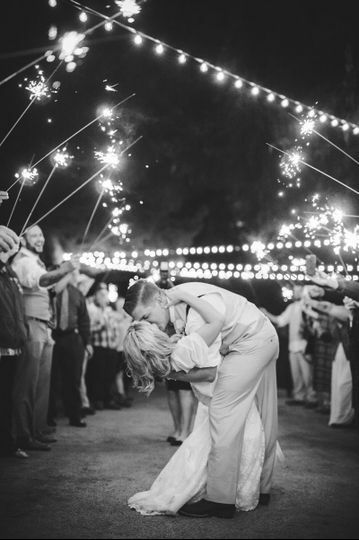 Cocktails on the lawn and fountain area, dancing in the barn, and desserts, s'mores, and hot cocoa around the fire pits. Guests often describe the overall feeling as having arrived at home at Sweet Pea Ranch. 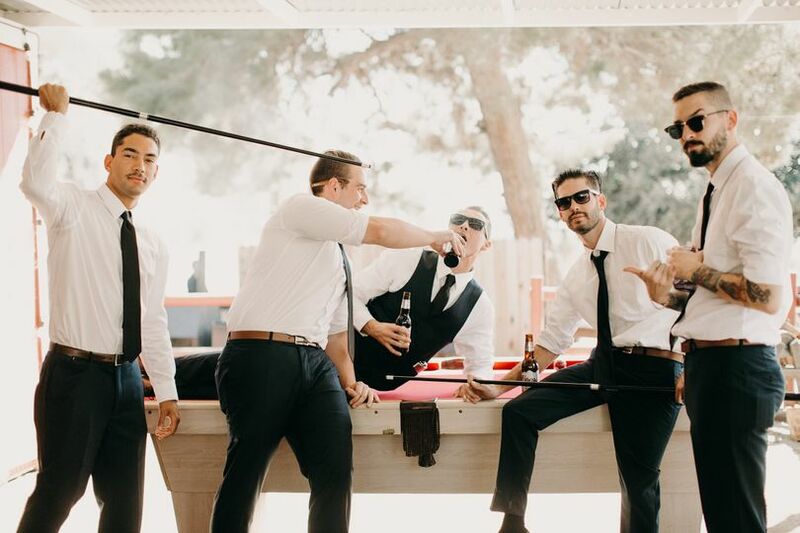 Not just because it was our wedding, but because this truly was the best wedding in the world! Let me tell you about Sweet Pea Ranch. From the way I found this venue to the way the staff delivered, it was a blessing, like it was meant for us. 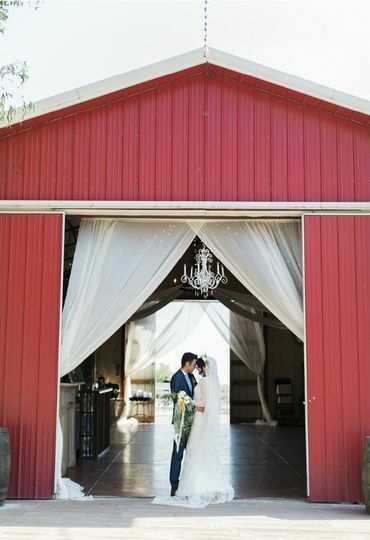 I found this venue by simply "hash tagging" #BARNWEDDING on instagram, just to get ideas, not even looking for venues yet. However, out of the millions of pictures, this red barn kept showing up and caught my eye. We searched it and realized it was close to our house. We emailed them and right away got a response and we set up a meeting. The meeting felt like we were being invited to a friend's home. The hospitality was definitely not that of a business, but that of family. We absolutely loved the team from the start. That day was like a showcase of the ranch. They had bbq, the dj playing, and the venue was set up including the centerpieces. 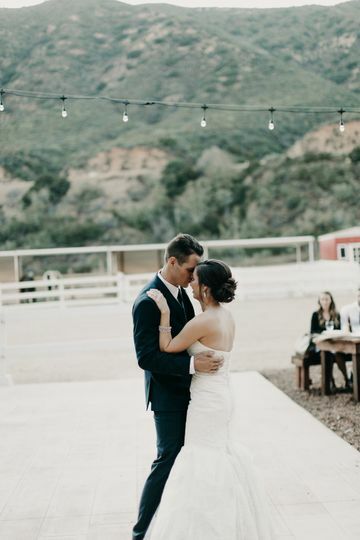 So on top of the customer service who treated my family and us so kindly, we also fell in love with the venue/ranch details. My husband and I fell in love with this ranch and decided THIS IS IT. Honestly, it was the only venue we looked at and had no desire to "shop around." We had found a piece of paradise and knew this was where we wanted to exchange our vows. On a piece of God's creation that surrounded this ranch. The nature, scenery and peaceful beauty had us in awe. Tess, the owner shared her beautiful home with us and accepted us not as her clients but as her family and made our wedding planning so easy. We had a really difficult work schedule but Tess and the Sweet Pea Ranch team understood and created a way to work with us. Honestly I've been planning my wedding since I was a little girl. My cousin and I would tell each other our dreams of what we would like if the day ever came when we would marry our true loves. Well when I turned 16 an old family friend got married at the Sweet Pea Ranch and since then I knew I wanted to get married here. Well my dreams came true, but not only that they were surpassed bug time. 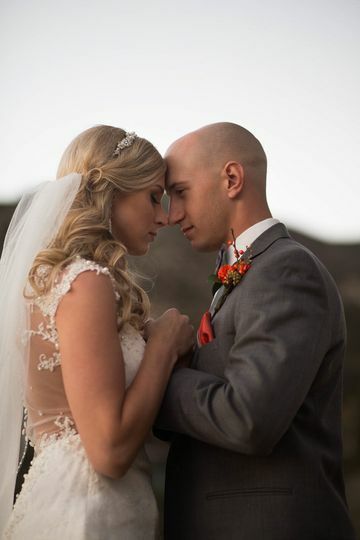 Tess and everyone at the Sweet Pea Ranch made sure that everything went perfect. 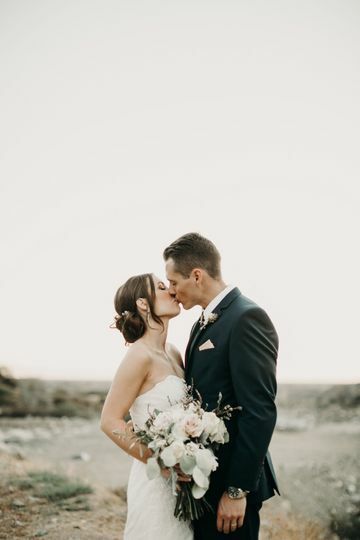 From being able to enjoy ourselves and our big day, to the beyond amazing food, and don't even get me started on the flower arrangements they had done. 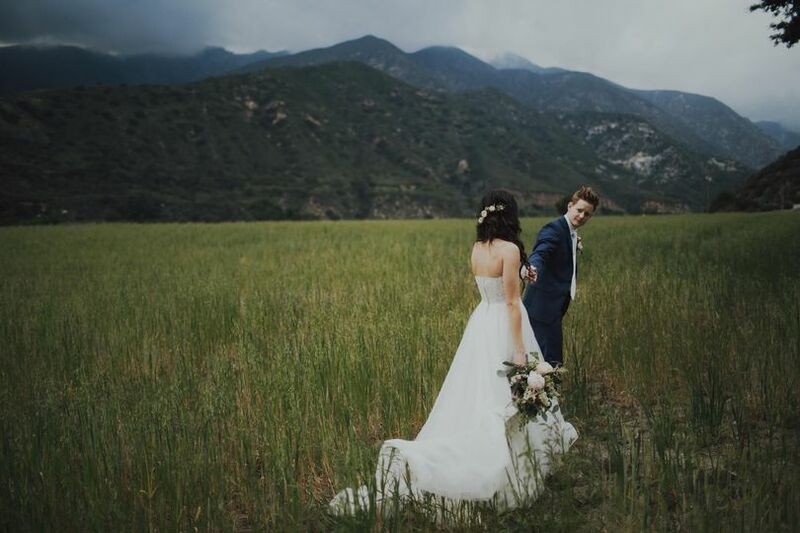 We couldn't have had a better wedding even if we tried it was all so perfect and we have everyone at The Sweet Pea Ranch to Thank!